Especially formulated for oats, our Just Add Oats formula is an extremely palatable micro-coated formula which makes grain mixes complete while helping to balance out mixed grass, legume and grass hay. It contains biotin, calcium, choline, zinc, iron, folic acid, manganese, magnesium PLUS kelp, lactobacillus acidophilus just to name a few of the ingredients packed into JAO. It is truly the best multi-use formula that could be developed for your horse. JAO is a component of our Feed For Success feeding program, which at the forefront is feeding oats plus hay or grass. It's the original low-starch diet and our recommended feeding regimen. You just add our Just Add Oats supplement (the vitamins, minerals etc) right on top of the oats assuring your horse gets what he needs. CONTAINS: DIRECT FED MICROBIALS, VITAMINS, TIME-RELEASED POLYSACCHARIDE MINERALS. INGREDIENTS: Dicalcium, Phosphate, Calcium Carbonate, Salt, Magnesium Sulfate, Potassium Sulfate, Magnesium Oxide, Zinc Sulfate, Zinc Proteinate, Manganese Sulfate, Manganese Proteinate, Copper Sulfate, Copper Proteinate, Cobalt Sulfate, Ethylenediamine Dihydriodide, Ferrous Sulfate, Ferrous Proienate, Selenium Yeast, Thiamine Mononitrate, Pyridoxine Hydrochloride, Riboflavin Supplement, Choline Chloride, Menodione, Dimethylpyrimidinol, Bisulfate (Source Of Vitamin K Activity), Folic Acid, D Calcium Pantothenate, Niacin, D-Biotin Supplement, Vitamin B-12 Supplement, Vitamin A Acetate, Vitamin D-3 Supplement, Dl-Alpha Tocopheryl Acetate, Dried Seaweed Fucaceae, Yeast Culture (Sacchaomyces Cerevisiae), Enterococcus Faecium Fermentation Products, Lactobacillus Acidophilus Fermentation Product, Dried Aspergillus Niger Fermentation Extract, Dried Trichoderma Longibrachiatum Fermentation Extract, Dried Bacillus Subtilus Fermentation Extract And Fermentation Soluables, Mineral Oil, Natural And Artificial Flavors. rate of 25 pounds per ton of feed; or feed at the rate of 1 scoop (1.33 oz) per average 1000 pounds pounds body weight horse per day top-dressed onto feed. Do not feed more than 25 pounds per ton. WARNING: DO NOT USE IN SHEEP OR IN OTHER COPPER-SENSITIVE SPECIES. "Check your feed bag label for yourself! If your horse is not getting each day the exact amount of feed for his specific body weight then he is either getting too much or too little of the vitamins and minerals that was added to the grain mixture. By feeding oats instead of commercial mixes you can give the amount of oats that your horse needs for his metabolism - easy keepers just a little, for hard keepers you give a little more. Besides, oats are more natural than pellets. Pellets are cooked and I don't know any horse that eats anything cooked that is in the wild, do you? Also, I am sure you also know that cooking does destroy nutrients. 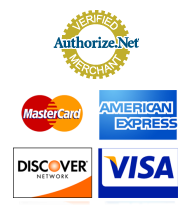 Plus, contents of each batch of commercial feeds can vary batch to batch depending on what is available and less costly. Such "least cost analysis" approaches may not be so great for colic prone, other gut sensitive issues and especially allergies. 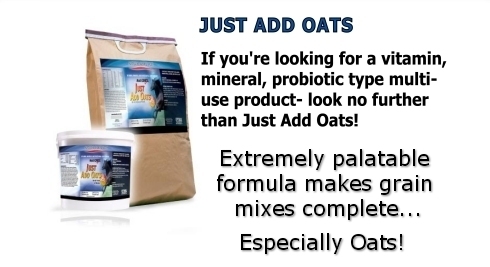 With oats and the JUST ADD OATS supplement you always know what you are getting. Every bucket -full is always the same!"